Just a short stroll from the chalets are numerous cafes, bars, restaurants, shopping centres, a golf course and tennis courts for your entertainment while staying with us, in addition we are conveniently close to public transport which will allow you to explore the rest of Perth on a whim. We ideally cater for short-term holiday rentals or beach stays for families, couples and business travellers alike, with our fully self-contained chalets featuring a self-sustained kitchen, private bathroom and a separate living room area where you can relax if you don't feel like getting out and about. If you’re feeling a bit adventurous and want to take advantage of our onsite facilities our outdoor swimming pool with barbecue area is the perfect way to relax. Come and experience our friendly hospitality when you stay at the Cottesloe Beach Chalets. 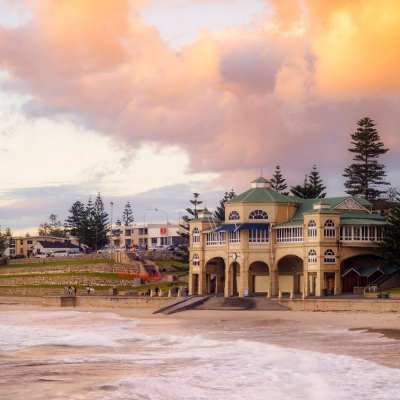 The Cottesloe Beach Chalets is suitable for various different types of events like, Weddings, family reunions, schools’ groups, sport groups and so on. We offer some great accommodation deals at one of the best Beaches in WA, Cottesloe. 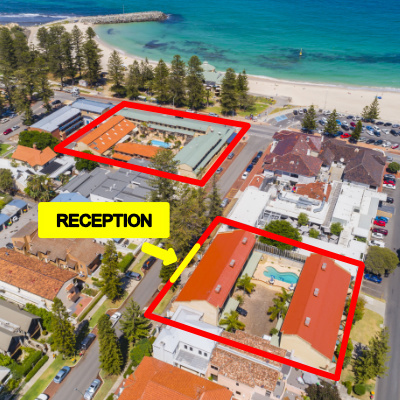 Please enjoy some stunning aerial shots of Cottesloe. You can check how close we are from the famous Cottesloe Beach. There are also some snaps of our premises and surrounding areas. All nicely presented by professional photographers. As our Chalets are self-contained and each Chalet sleeps up to 4 to 5 people, the Chalets are perfect for small to large groups. 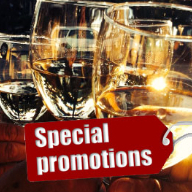 The ideal venue for Weddings, family reunions, schools’ groups, sport groups and so on.